Soft X-ray Diffractometer designed and built for the Diamond Light Source in Oxford UK to run diffraction and reflectivity experiments. It has a vertical diffraction plane to benefit from the low divergence of the x-ray beam in this direction. This is essential to optimise the reflectivity signal. It has a small sphere of confusion (<50 micron) useful for both diffraction and reflectivity and can be fitted with a sample cryostat for magnetic studies. Supported on a motorised table to allow precise positioning on the x-ray beam. Two main rotation circles, theta and two theta, with full range of motion, and a chi rotation of up to ±5 deg. Sample position can be translated ±20mm perpendicular to the diffraction plane and ±5mm across the plane. Additional phi rotation (infinite) can be mounted at the sample position. Polarisation analyser allows analysis of the scattered beam and has a full range of motions. A number of different sample stages can be used, simple mounts for low temperature, a piezo rotation stage to provide phi rotation and a stage with permanent magnets to provide a magnetic field at the sample position. 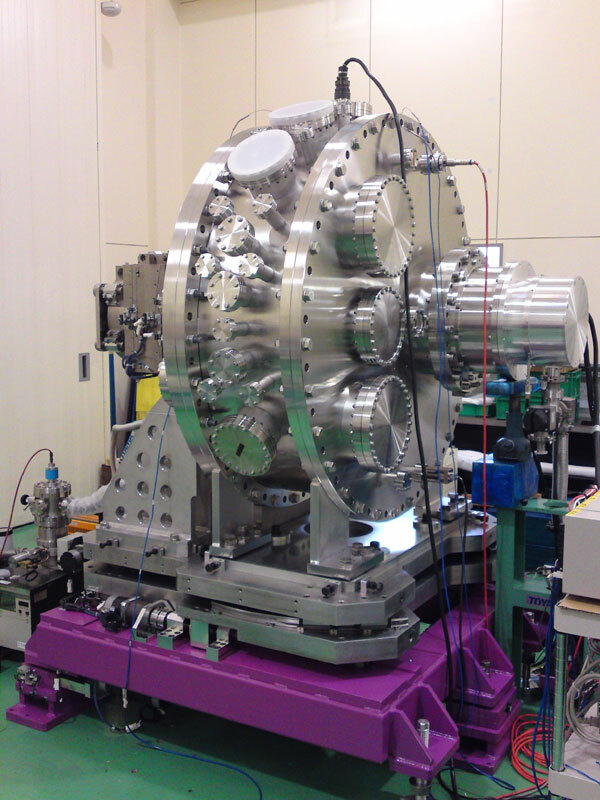 For more information about the use of Rasor at the Diamond Light Source click here to visit the website of the Durham University Rasor project, or here to visit the Diamond website.